**Update at 10.30pm. It just gets better and better! Someone has just donated £10 so they can have ice-cream on their day out. Awww… So that makes it £250. Wow! I saw a status on Facebook this morning that I just couldn’t ignore, I can’t personally help as we’re struggling ourselves, but I was wondering if anyone else would be able to do anything? I am willing to offer something in return, please read on! Every year PostPals has an annual party for all the children they support, and in previous years they’ve all gone for a trip out to Chessington on the same weekend, with tickets donated from a company. This year the company has not been able to donate tickets so some families can’t afford to take their children. For some of these kids , this will quite literally be the last time they will ever have this opportunity again. They are looking for 4 disabled childrens’ tickets and 7 under 12 childrens’ tickets. All are priced at approximately £30 a ticket, but the disabled ones allow an adult carer free also. The problem is, it is this Saturday, as in tomorrow so it’s really short notice. I know it’s really pushing it, but…. In return for a donation, I will happily write you a blog post advertising your lovely business / blog / products, or I’ll include pictures of your dog, favourite mug…..anything. I’ll write about any subject of your choice even. I’ll put anything on here (as long a it’s not lewd!) if you make a donation so these kids can have a fun day out. I’ll splash these blog posts across my social networks too. Please help! If you do want to help, please contact me on kay@rubbermonkeys.co.uk or comment on this blog post with a Twitter ID (not your email address, you’ll get spammed to death) and I’ll get all the details so you can donate to PostPals. If you can do anything to help, these kids will be so grateful. It’s a Friday, get that Friday feeling by doing something lovely for someone else. x Please. 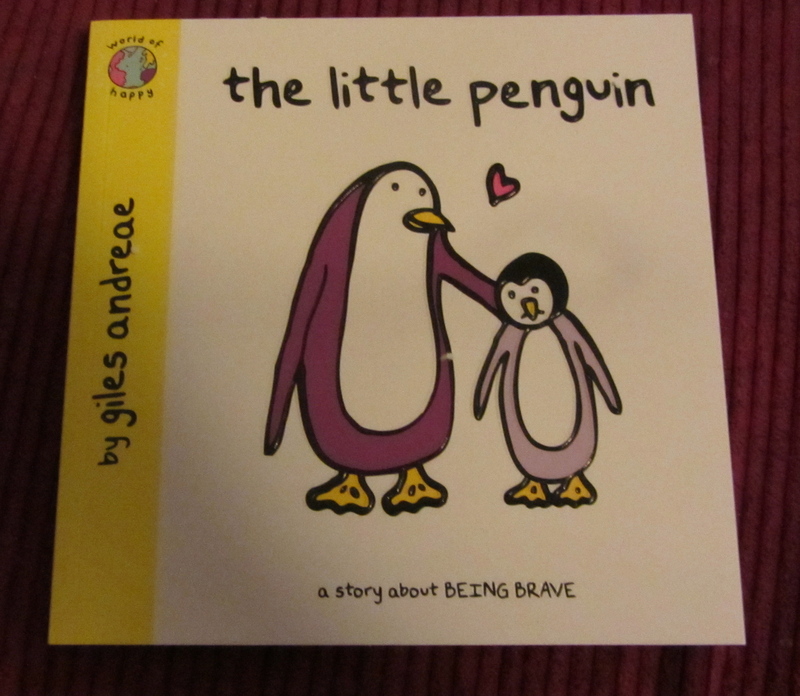 Penguin Amnesty Gallery Part 3! 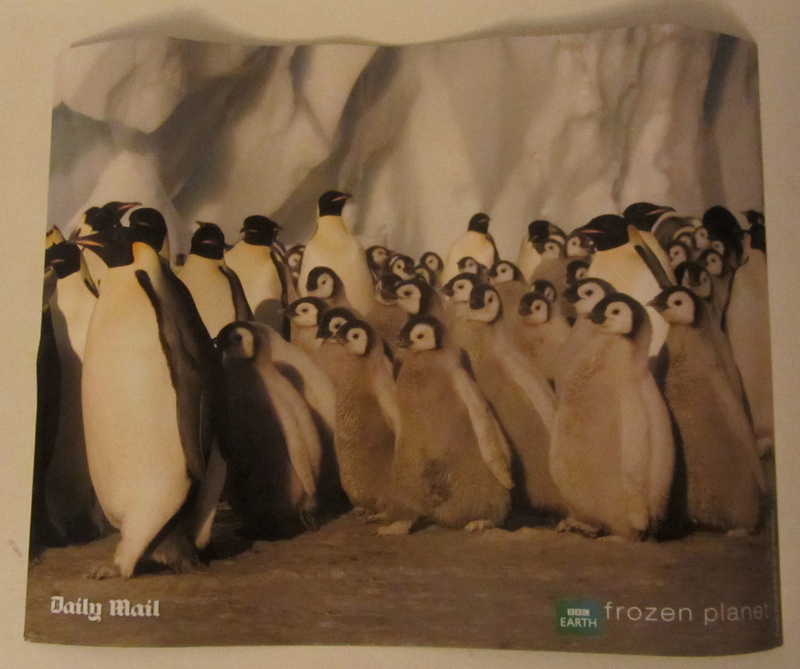 I’ve had even more penguins sent over as part of my PostPals Charity blog review in conjunction with Appliances Online and their lurvely Hotpoint American Fridge Freezer. You could genuinely say this project of mine has snowballed! If you’d like to see the Gallery Part 1 it is HERE, and if you’d like to have a look at the Gallery part 2, it is HERE! Both have been regularly updated and you might find a few more additions there if you go and have a beaky. 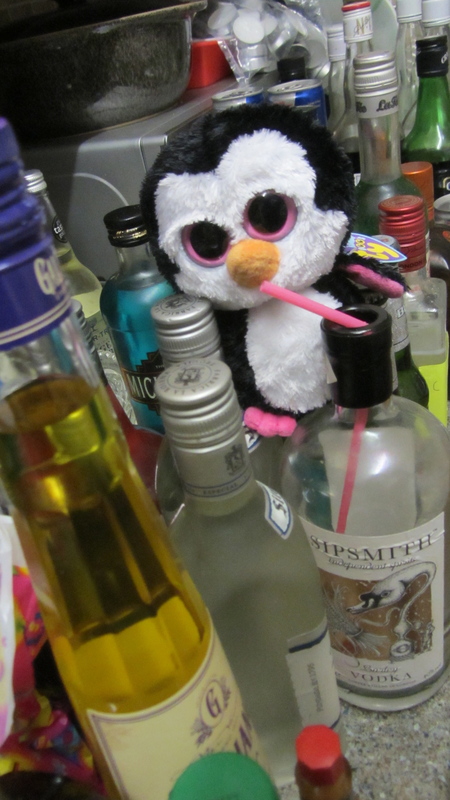 Now…..I have to admit as I’ve been storing these penguins for a while, the kids have located my stash and they raided it one day, so it all got a bit chaotic for a bit. As a result, if I’ve missed including your penguin, or if I’ve mislabeled any of them and have attributed them to the wrong donater, please, please do let me know. Due to the success of this project I’ve really had my hands full with them all. There’s also been two bereavements in the extended family in the last month and I’ve had rather a nasty Ulcerative Colitis flare, so that’s my excuse for my lack of organisation. I never realised that funerals could be like buses, there’s none for 10 years and then two turn up in a matter of weeks. 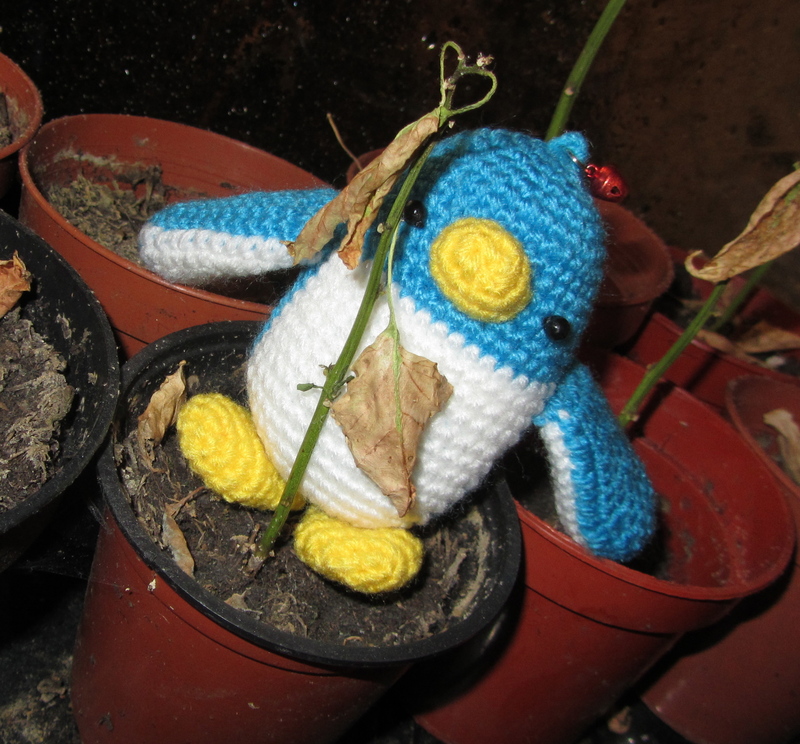 *sad smile* The penguins have been rather miserable recently too. 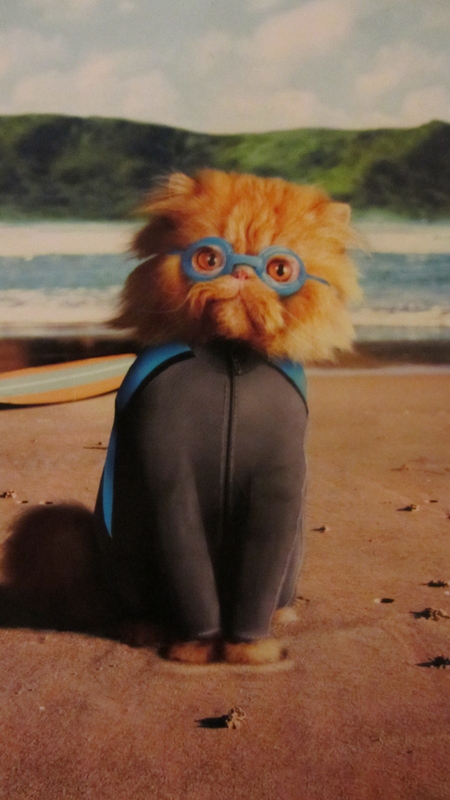 I’ve given them more tuna to cheer them up and they’re perking up nicely though you’ll be pleased to hear. Anyway, here we go! 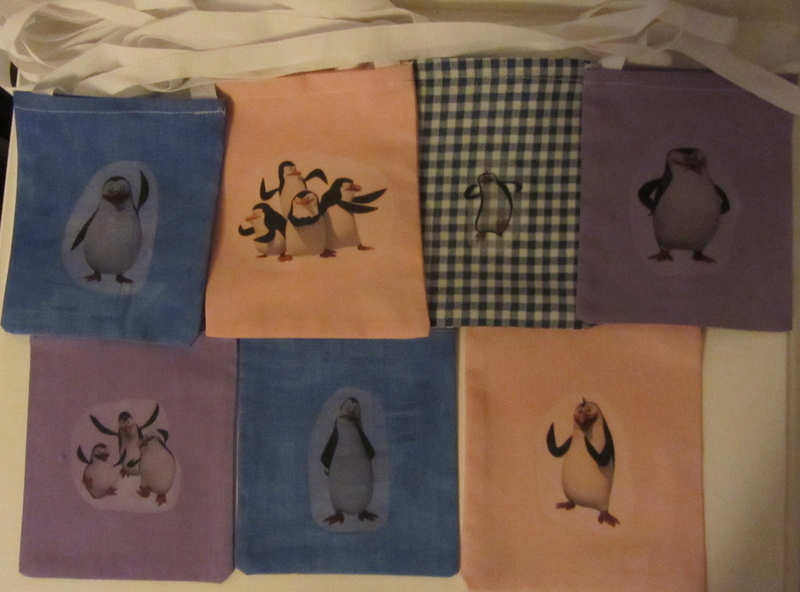 Some more additions to the penguin family! 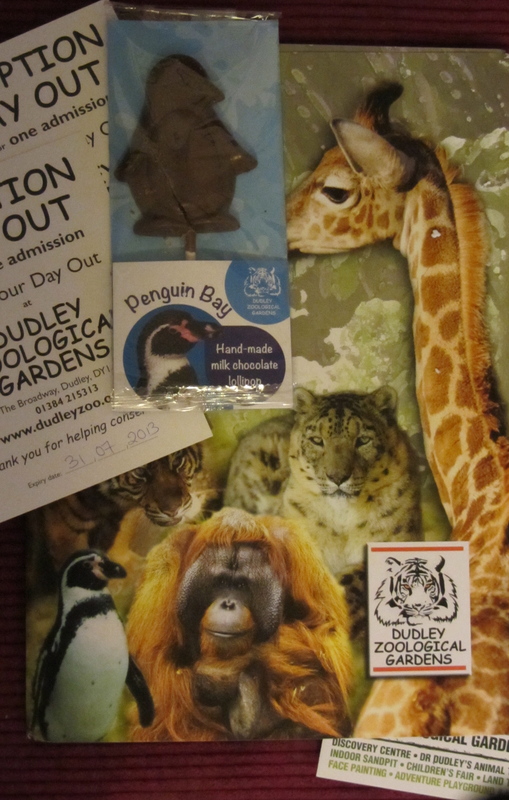 Dudley Zoo sent a Penguin Adoption pack, a chocolate penguin and two tickets for a day out at the zoo too! 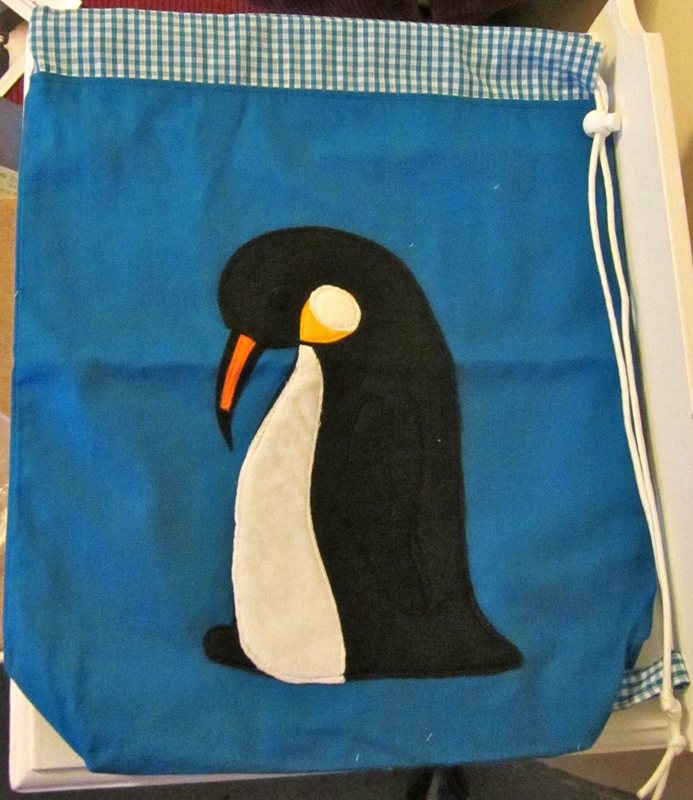 Aw….Have you seen Patricia the Penguin leaning affectionately on Sausage’s monkey lunch bag? I think she likes monkeys a lot. 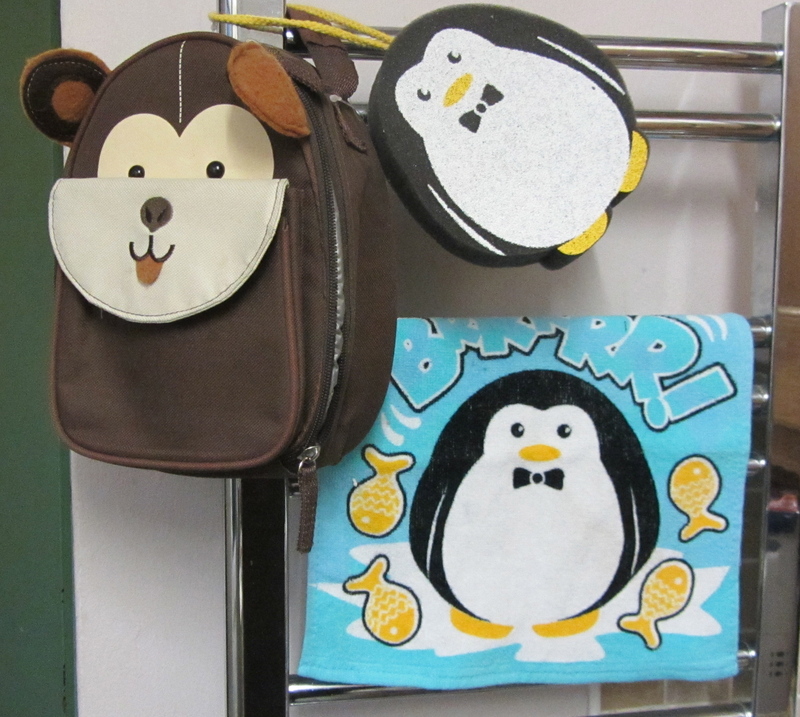 The hand towel is so cute too! Zooey Toornent sent Patrick and Tooloola. 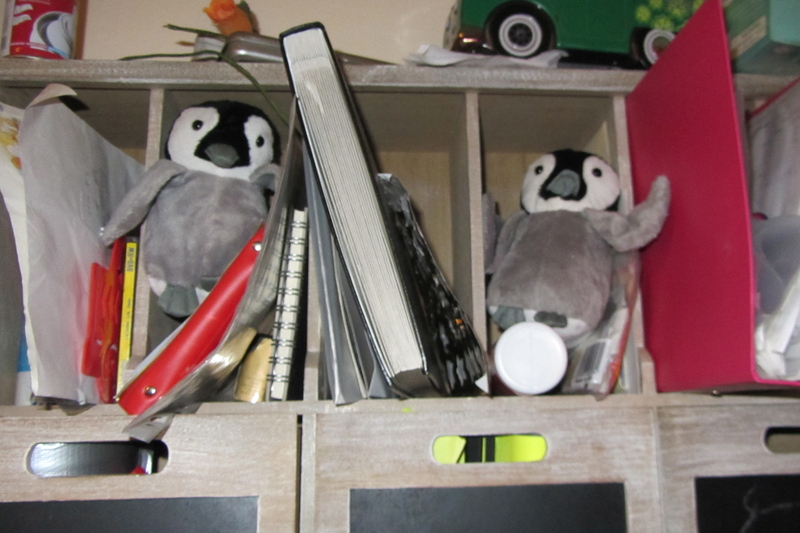 They’re very organised penguins and have told me off because my shelves are a disaster. I am thoroughly ashamed. Both of them have threatened to re-organise things, I might let them, I can’t be arsed anyway. Cheers Zoe! Now this Penguin is special. 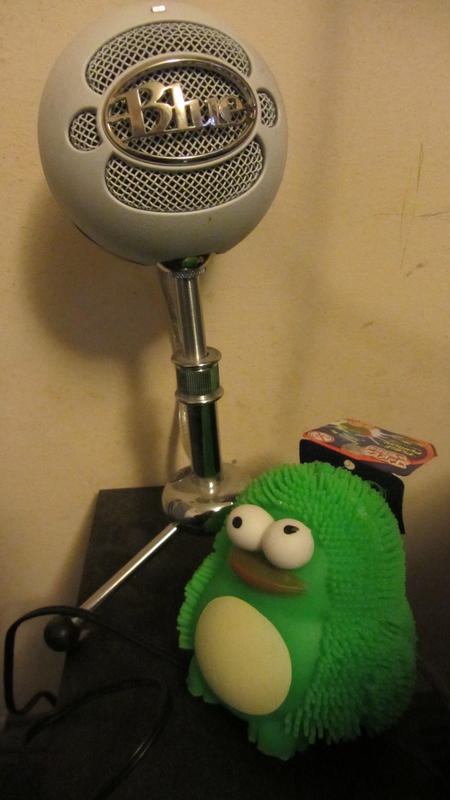 Not only is he musical (note the microphone), he is also bright green, very squishy and glows in the dark. He claims to originate from the seas just off shore of Fukishima. I believe him. Another donation from Zooey Toornent! 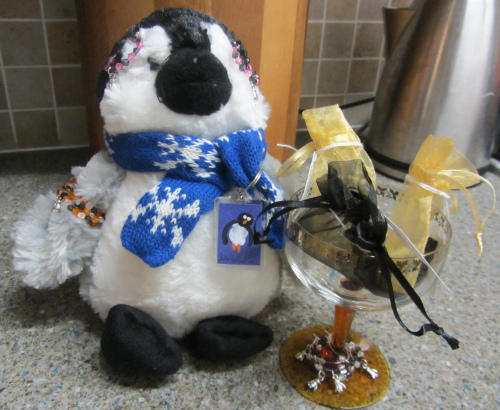 Babooskha the Eskimo penguin was donated by the ‘Play Merrily’ Toy Shop and is extremely imaginative. I keep finding her in the washing machine shouting ‘I’m in a spaceship!’ and ‘Blast off to Antarctica!’ Is this normal? I don’t think it is? I worry about my flippery mates you know. 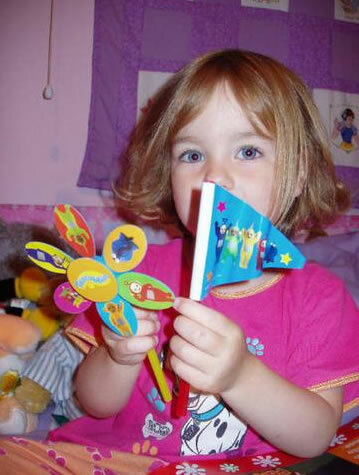 The Play Merrily Toy Shop can be seen HERE and they a lovely range of toys, thanks for sending Babooshka! Would you mind telling her to get out of the washing machine though please? It’s bad enough with the penguins hogging the bathroom. These are the gatecrashers! They are not penguins and the teddies at the back are wearing dark sunglasses, in fact they look a little shifty if you ask me. I told them ‘Your name’s not on the list, you can’t come in!’ but they barged past me anyway! The cheek! 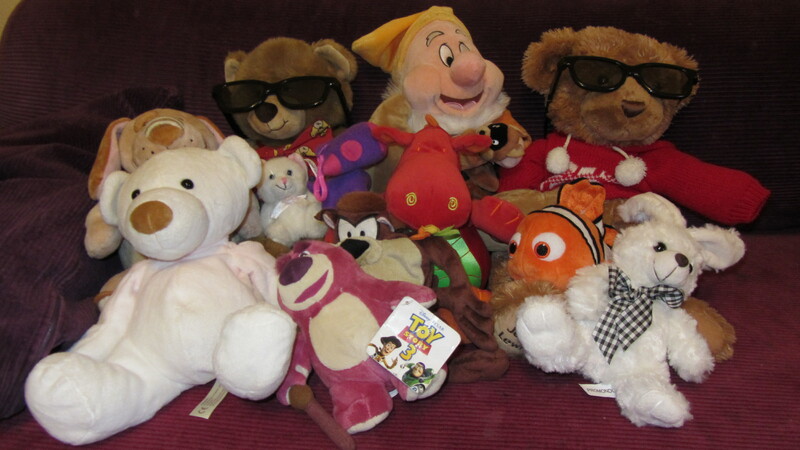 Lucy Zelazowski donated this huge pile of toys, (they’re actually very lovely teddies and I appreciate them loads, as will a poorly child from PostPals). It’s so sweet of you, cheers midears! 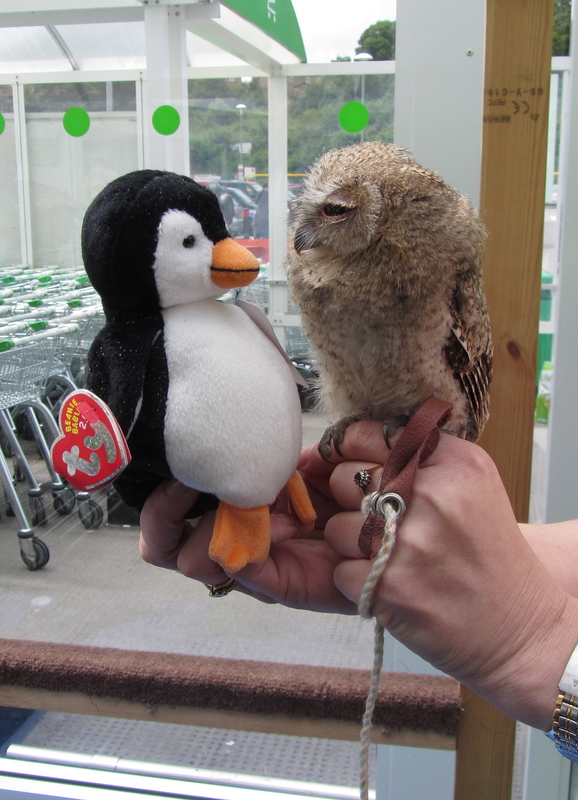 Dennis the Penguin and his mate Monty the Monkey are both fitness freaks. They dutifully sit on the bikes in the front room, swaying from side to side as if balancing at high speeds, ALL THE TIME. Monty ‘Oooks!’ a lot and Dennis goes ‘Nook!’ a lot too, it’s very distracting in here when I’m trying to type you know. The Balloon Baboon shop sent us these two, and my kids absolutely adore them! 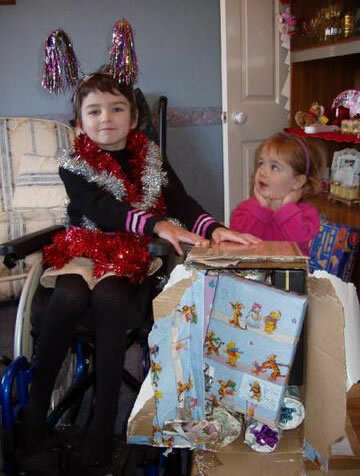 They have said they will also send a penguin to a Post Pals child too, here’s a flipper full of applause for them! *Flip-Flap-FlipFlipFlip-Flapper* Slap your flippers purlease! 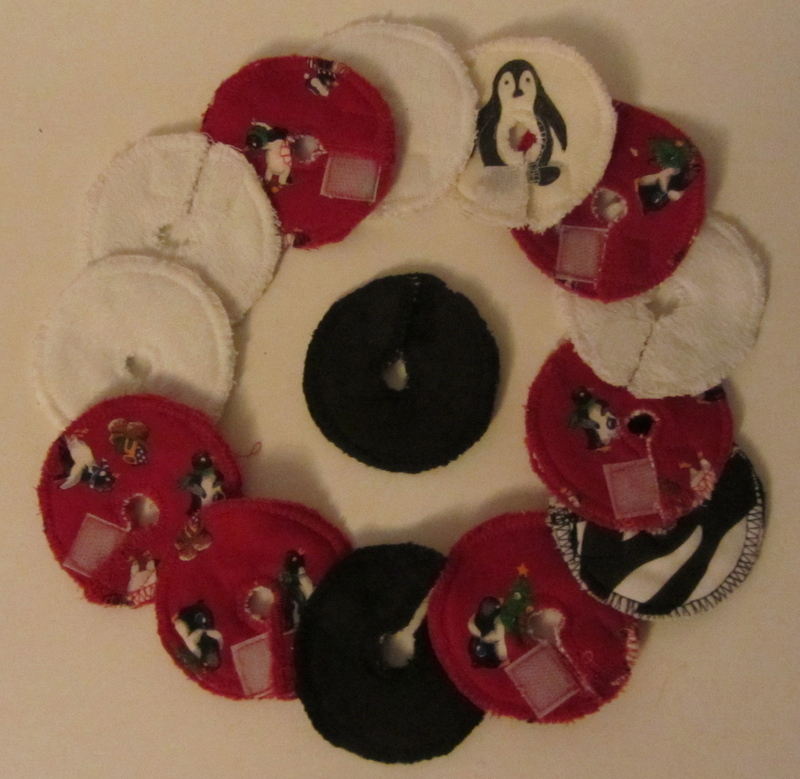 Their truly original and exceptionally cute site can be found HERE. 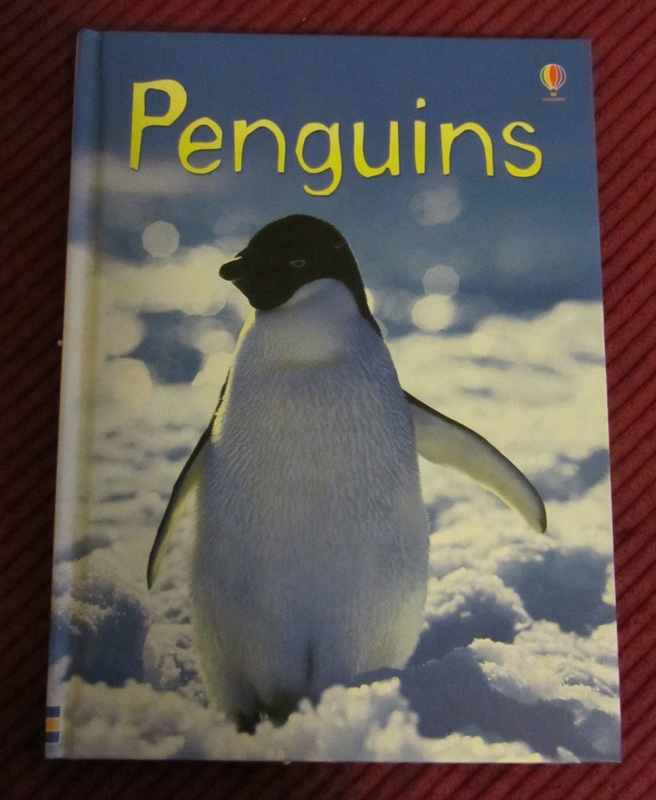 I think it’s important that the penguins learn about their heritage and where they came from. They currently live in a house in the north-west of the UK, eating fish from cans – I’ve been concerned that they’d forget their roots. This book helps to remind them of where they came from! The above book and the ones featured below all came from The Book Club. The penguins here have read them cover to cover and have their seal of approval (which is very impressive, they’re not easily pleased you know!) All of them will be passed on to Post Pals kids. Thanks Charlie! Their website can be found HERE! 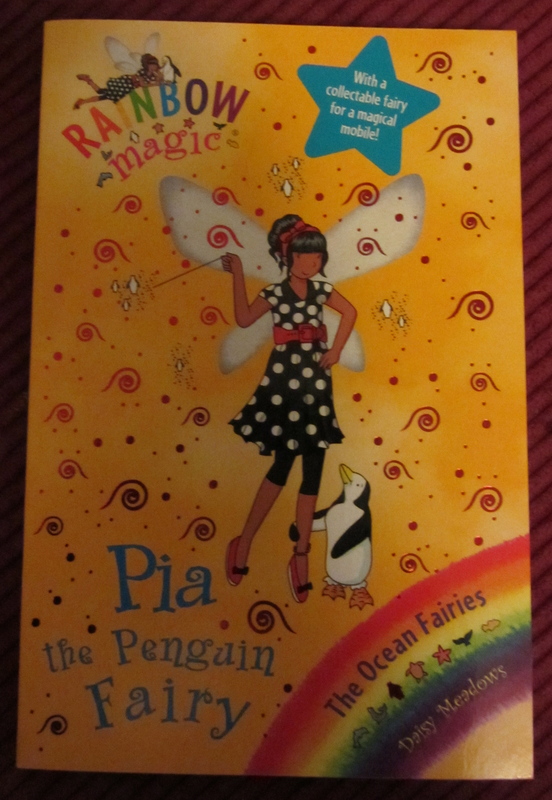 Who would have thought there were Penguin Fairies?! It’s all news to me! 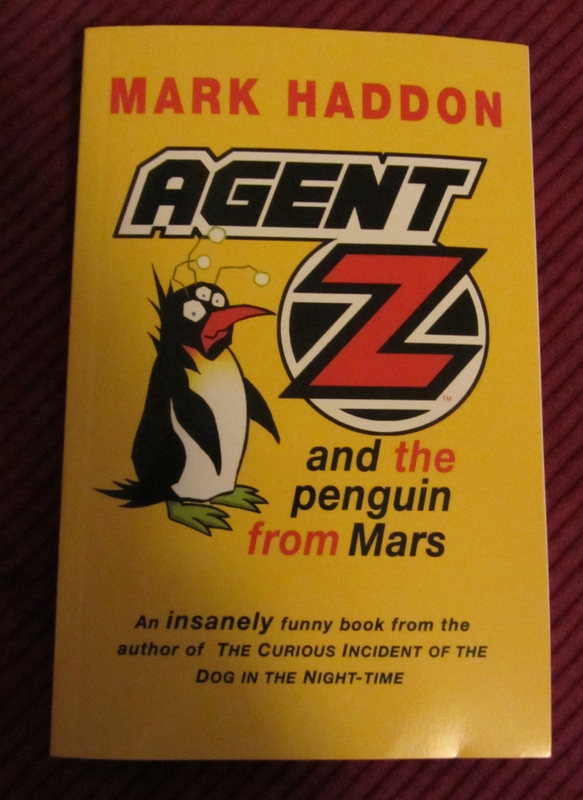 There’s even Spy Penguins! I’m well impressed! 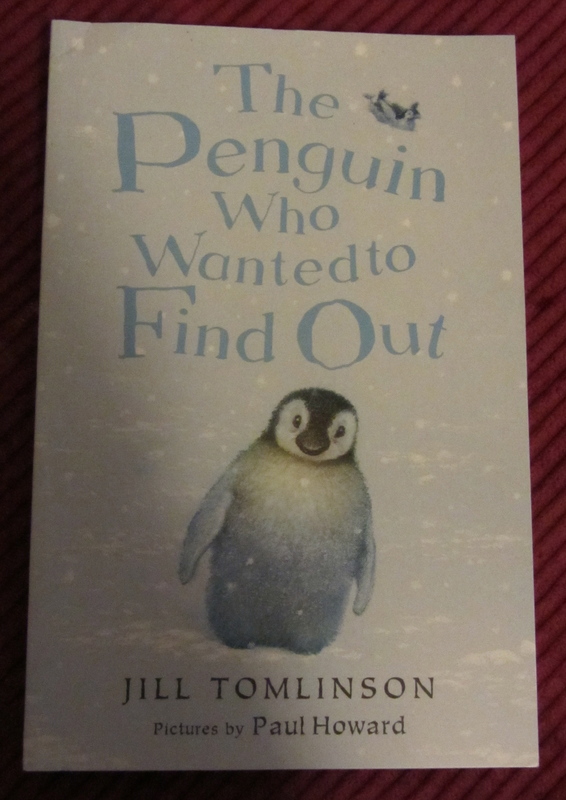 Curious penguins are not new to me though. I’ve found so many of them wandering around the house investigating the fridge, the cupboards, the bathroom, even my filing drawers! I think they’ve naturally beaky. I still have quite a few more to add, so if yours isn’t updated as yet, please be patient. And if I’ve mislabelled any of them, honestly do tell me, in fact I’d be so grateful if you would. I’d hate to think I didn’t appreciate any of your donations. InkyPrints, and Jenny Orpwood, I’ll add yours as soon as I can. Because of recent events I’ve just not managed to get the vlog done, although I can show you this picture. 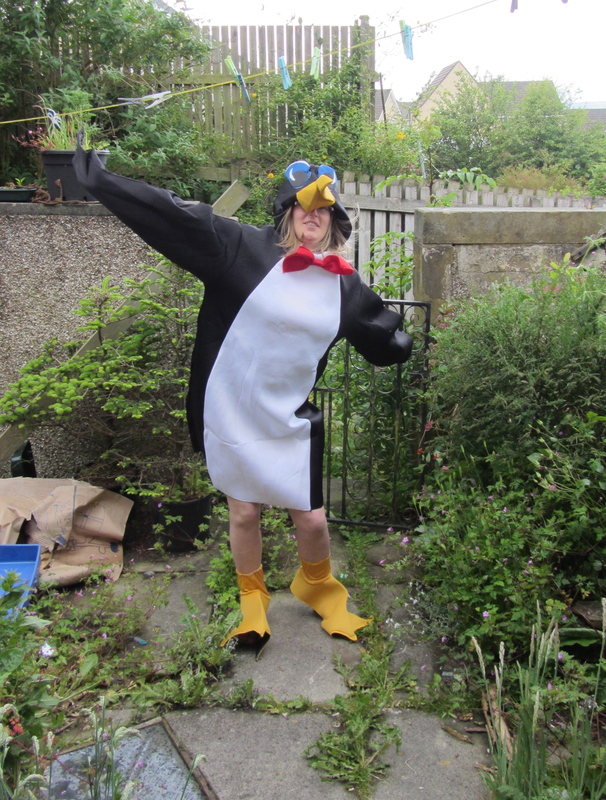 Sis and I have been working on converting the kitchen across the road into a Penguinarium (whatever one of them is). It involved a lot (and I mean a LOT) of polystyrene balls and cut out snowflakes. 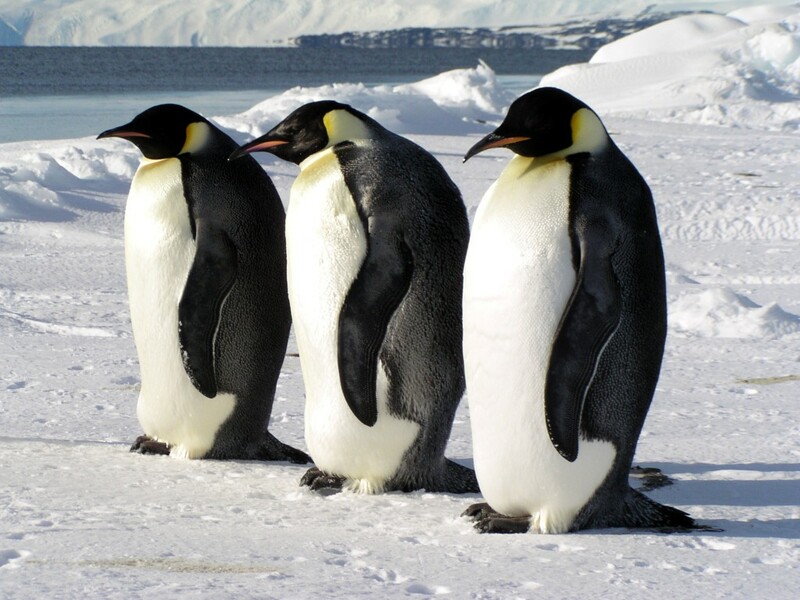 Can I just say, tiny polystyrene balls stick to absolutely everything, hair, hands, freezers, penguins. They were a little more effective than even I wanted them to be. We will never, ever, be able to clear the house of them! I’m not sure if we’ll be friends with the new neibours or not, I suspect they’ll avoid us like the plague. 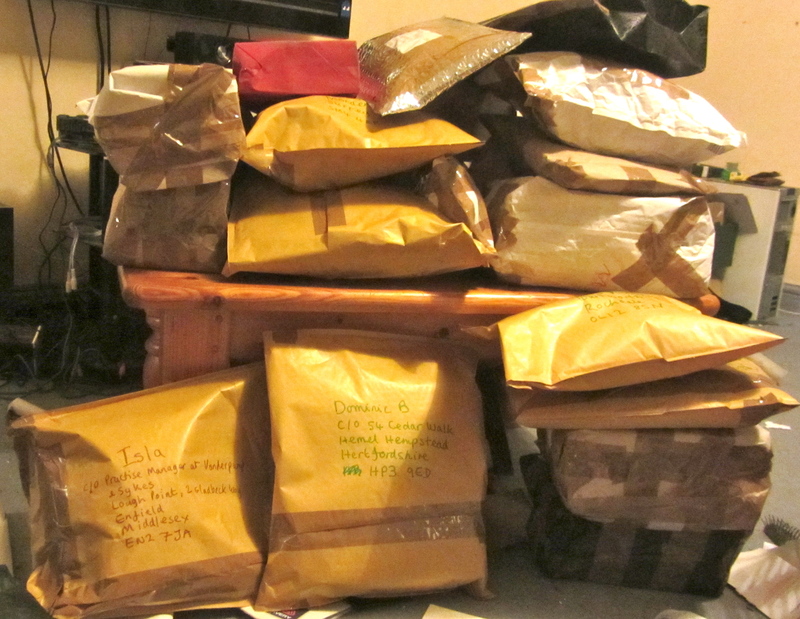 As a final note, I think (details to be finalised) I have found an amazing courier who will help with fundraising and postage. I’ll update with more solid information when it’s all been finalised. I am ecstatic!